In modern business, search engine optimization (commonly referred to as SEO) is vital to the digital marketing success of any company. This applies to businesses across a wide variety of industries. SEO is important for retail shops and service based companies alike. In fact, knowing how to promote your medical practice online is one of the most important marketing strategies for orthopedic practices today. The basic idea of SEO services for orthopedic practices is to make your business show up as high as possible in search results, increasing visibility for potential patients. As a matter of fact, SEO is especially important for service-based businesses – such as orthopedic practices – because market competition is so intense. SEO service providers target keywords, create of original, valuable content, and implement the strategic use of links and other methods. The result is a website that’s found exactly where potential customers are looking… and ahead of the competition. It’s Evolution Over Time: In the past, people would try to increase search rankings by cramming web pages with keywords and little else. This led to pages that were illegible when customers did click, and the search engine companies cracked down. Now, SEO is a refined, ethical, and vital marketing method, used by reputable businesses across the globe. Two Important Components: Though there are many steps to the process, two of the most important are effective use of keywords and regularly produced original content. SEO services for orthopedic practices enable you to choose just the right keywords, and use them in a sensible, effective manner. In many cases, these keywords can be integrated into your original content, which improves search rankings, and provides visitors something of value when they visit your site. Important of Being Online: The bottom line is that even if you aren’t using online marketing, your competition will be and that will put your business at a disadvantage. In most cases, potential patients simply do not look to traditional media or advertising methods to find medical practices. Instead, the first place they turn to is a search engine. Importance of Being FIRST Online: When that potential customer searches for an orthopedics office in your area, don’t you want your practice to show up at the top of the list? Chances are, the customer will click on the highest link that appeals to their needs. 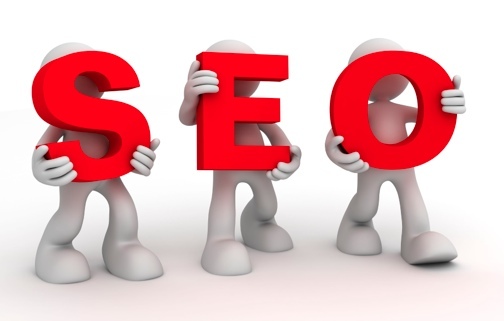 If that link is to your site, you will probably have a new customer, thanks to SEO services for orthopedic practices. As time goes on, SEO will only become more important in the business world, as yellow pages and print ads fade into a distant memory. With SEO services for practices like yours, you can stay ahead of the curve, and ahead of the competition! For more detailed information on how to properly design and run an SEO campaign for a small business, check out our free ebook below!